Appaji (Arun Gandhi) was welcomed at the Airport upon arrival with a big greeting from the ‘Filhos de Gandhy’, or Sons of Gandhi , a non-violent activist group that began 3 decades ago as striking dockworkers and who are most famous for their Carnival street dancing and parades and striking blue and white attire. As we got off the plane, we were greeted by our translators, they had a team, who went and gathered our luggage for us as the Sons of Gandhi approached with celebratory music and cheers for the Arrival of Appaji! We were immediately ushered into a room at the airport for a press conference, and Appa began by acknowledging the Sons of Gandhi as family. What a moving moment for the whole room. Salvador Bahia, one of the oldest cities in all of the Americas, was settled in 1534. It is known as Brazil’s capital of joy and happiness. Salvador is declared a world heritage site by UNESCO. The architectural landscape, culture, traditions and activities make the city a great tourist destination. The Carnival in Salvador is the most popular festival of the world (bigger than Rio’s) joining nearly three million people. Alfredo’s has been around since the 1920s. Mary Pickford and Douglas Fairbanks honeymooned in Bahia and dined there. Many photos grace Alfredo’s wall of famous Brazilian and international celebrities, including Pele, JFK, Frank Sinatra, Sophia Loren, etc. They wanted Appaji’s photo too, so they brought out a faux plate of pasta for the wall photo… So now his photo will be in this historical restaurant. Dr. Arun Gandhi, noted peace and human rights activist and president of the Gandhi Worldwide Education Institute (‘GWEI’) has accepted an invitation to provide keynote address from the Brazilian City of Salvador Bahia (Salvador da Bahia) at the City’s annual Education in the First Place Forum, it was announced today by Emilia Queiroga Barros its Executive Director. Dr. Gandhi’s keynote opening entitled: ‘Education, a Legacy of Love will be given on June 26, 2012 at the Teatro Castro Alves complex. Arun Gandhi, the fifth grandson of Indian leader Mohandas K. Gandhi, aka Mahatma Gandhi, is an advocate for nonviolence and has been a Washington Post columnist, has worked for 30 years as a journalist for The Times of India, and is the author of several books, including “A Patch of White” (1949) and Legacy of Love (2002). In 2011 Dr. Gandhi provided the keynote address to a gathering of 30,000 attendees at Dali Lama’s birthday event in Washington DC. As of this this week we have managed to survive four decades of US fiat money, and its anyone’s guess how much longer we can continue. Recently we read that the average life expectancy of a fiat currency is 27 years. The world’s oldest fiat currency, the British Pound, has survived nearly 318 years, but during this term it lost 99.5% of its initial value. And as Jeff Clark points out: History has a message for us: No fiat currency has lasted forever. Eventually, they all fail. Since the ’70s gold has risen from $35 to $1740. Edmund Conway at Daily Mail writes: On 15 August 1971, with the US public finances near broken by the cost of the war in Vietnam, Richard Nixon cut the final link between the US dollar and gold. 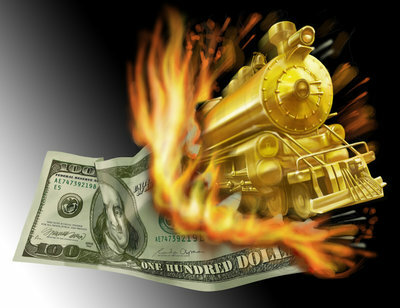 Until then, the US Treasury was duty bound to exchange an ounce of gold with central banks willing to pay them $35. Suddenly, for the first time in history, the level of the world’s currencies depended not on the value of gold or some other tangible commodity but on the amount of trust investors had in that currency. Central banks were allowed to set monetary policy based on their instincts rather than on the need to keep their currency in line with gold. A- Any money declared by a government to be legal tender. B- State-issued money which is neither convertible by law to any other thing, nor fixed in value in terms of any objective standard. C- Money without intrinsic value. A Busy Week with AVANI’s Anuradha Bhosale! Friday May 25, 2012 Fellow Gandhi Worldwide Education Institute (GWEI) director Scott Kafora and Anuradha Bhosale of AVANI in Kolhapur India arrive Los Angeles International (LAX) airport 4:04 pm. I ran extra late due to heavy holiday traffic. We had to rely on telepathic communications combined with faith and a sense of trust to connect given Scott was not traveling with a cellular telephone. It was a real relief to see Scott and Anuradha on the airport curbside waiting. I pull over, we greet, hug and then we load their belongings into my car. What a happy and exciting moment. We drove onward and discussed the trip highlights Anuradha has experienced her first time in North America, as well as the work GWEI is doing with AVANI as we cruised from Los Angeles to San Clemente, California. Anuradha and Scott received the real Los Angeles traffic jam (“carmageddon”) experience. We got off the freeway at the Beach Blvd exit in Huntington Beach and I drove them by my high school, Marina High (Vikings), my grammar school Haven View (Trojans), then we traveled along the coast through Huntington Beach, Newport Beach, Corona Del Mar, Laguna Beach, and Dana Point showing them the homes along the hills of the Southern California coastlines. There was less traffic at this hour of the day while traveling down the rugged coastline and it is such a breathtaking drive along Pacific Coast Highway. I showed them the Laguna Beach Upper Three Arch Bay home where I lived in the 90s. We finally arrive at my apartment/office in San Clemente, they meet Marcus ADMAX’s Marketing Director and one of the professionals who has been helping with In-Kind “Search Engine Optimization” (“SEO”) efforts for GWEI. Marcus has prepared a scrumptious Thai green curry meal and dazzled everyone. We enjoyed getting to know each other better, talking about our lives, interests, and joked overlooking the vast Pacific Ocean. Anuradha has a fabulous sense of humor and was mesmerized by the views. I did not sleep a wink, I was deeply relaxed, wide awake with ample energy, did not feel tired at all. Lately, we’ve been putting Asana through its paces. Asana is essentially a very customizable cloud-based to-do list with a few tools that, when used intelligently, can bring order to a variety of projects. But what exactly is Asana? It can perhaps be best described as a collaborative to-do manager for both individuals and groups. It’s heavily influenced by the “GTD” (Getting Things Done) methodology of David Allen.